So I know it’s Thanksgiving tomorrow, and food bloggers everywhere have a million and one perfect recipes to share, but I don’t. Not this year. Maybe next Thanksgiving I can be a magical food blogger and have a ton of yummy fall dishes one after the other. 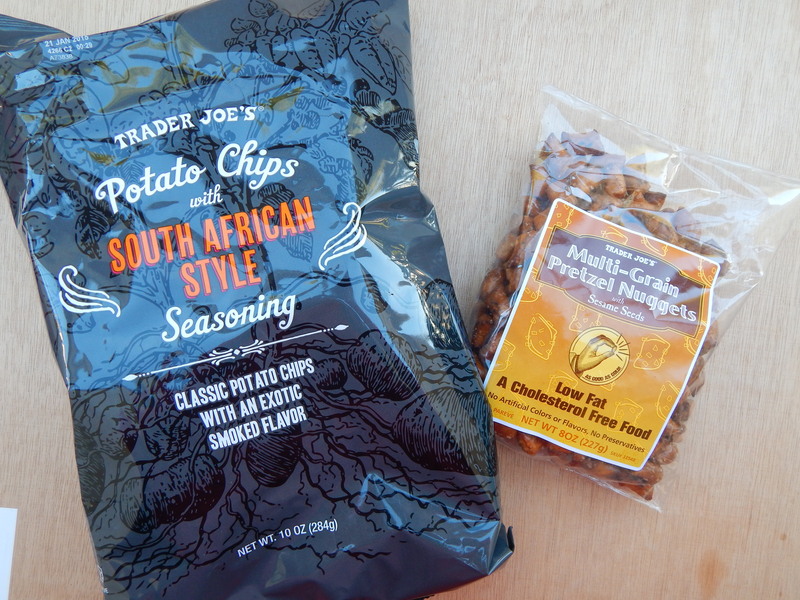 For now, I will just be real and chat with you about my latest Trader Joe’s buys. 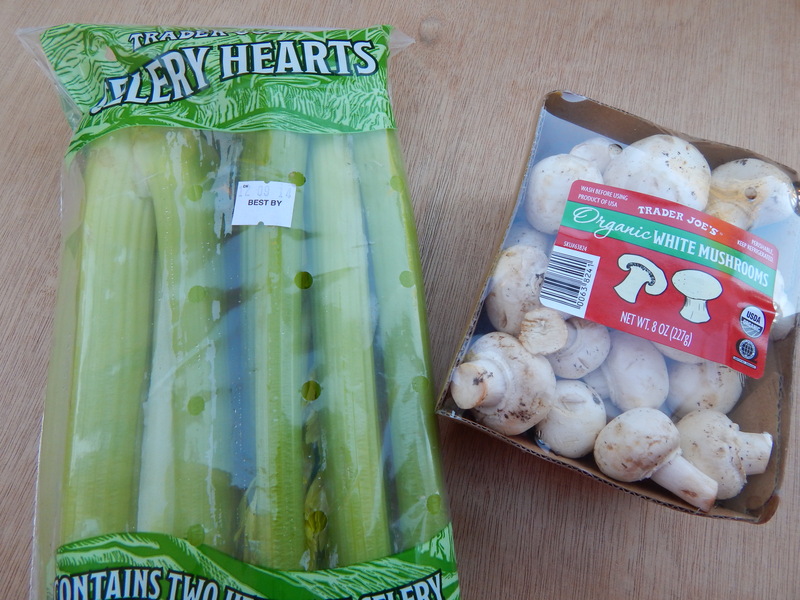 I will also include some of the ingredients I’m using for the Thanksgiving dishes I am cooking for my family. My husband and I have two Thanksgiving dinners every year, one at my parent’s house and one at his parent’s house. Twice the fun and twice the love! My mom and mother in law make their own main dishes, so I don’t ever make the turkey or ham. I am more of the fun and tasty side dish girl. I got your stuffing, green beans, stuffed mushrooms and cornbread or biscuits covered. Oh, and usually a dessert too. I love being the side dish girl. Is it weird that I just made up that title? Well, weather you are in charge of the main dish, side dish or no dish, I wish you and your loved ones a very Happy Thanksgiving. 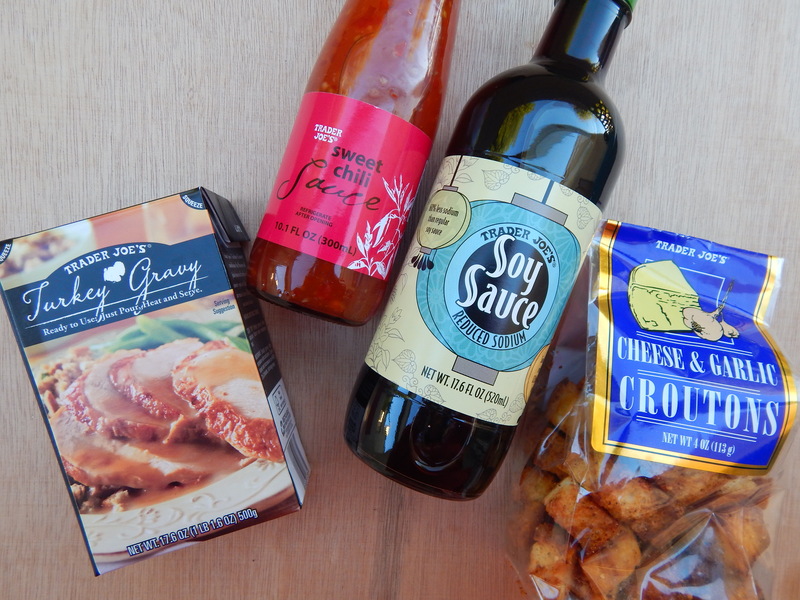 I went to Trader Joe’s about 2 weeks ago so I will show you guys what I bought for our everyday food, but I also went yesterday specifically to get the ingredients I still needed for my Thanksgiving dishes. Let’s get to it. 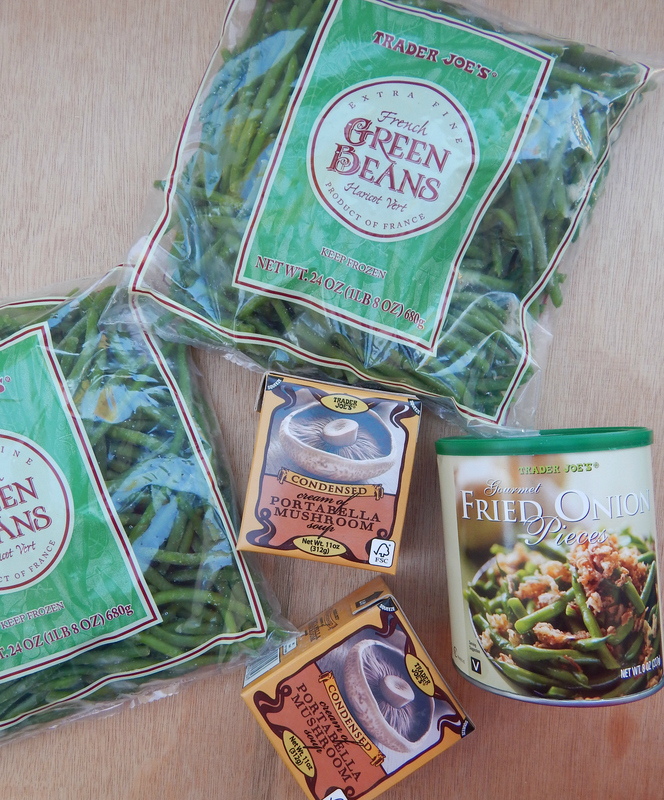 Frozen green beans, cream of portabella mushroom soup and fried onions will go into my green bean casserole along with sautéed mushrooms and some parmesan cheese. I LOVE stuffing! It’s my favorite Thanksgiving side dish. I make my stuffing with lots of chopped up veggies like celery, mushrooms, corn, carrots, peas, onion and garlic. I bake it and let it get golden brown with crispy edges. 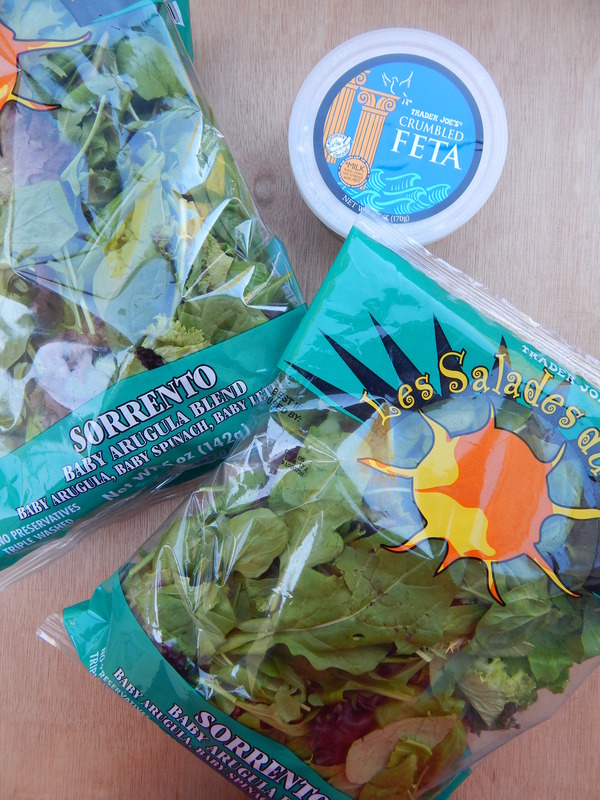 This year I am making my Fall Salad with homemade Balsamic Vinaigrette. You can get my recipe here . How cute and playful are these tea boxes?! I have been loving hot tea lately, and I have a cup almost every night. I make some for the hubs too. Real men drink tea. I like my tea unsweetened, but honey is nice too if you prefer sweeter drinks. Each box is only $1.99 and only available during the holiday season. You need them all! The Candy Cane Green Tea: My favorite! I was surprised to love this since I usually hate minty things and it is super minty, but I love it. It is light and fresh. Harvest Blend Herbal Tea: I bought this for specifically for Thanksgiving morning or night. It’s main flavor is cinnamon with hints of apple and orange peel. The scent of this tea is so nice! It smells strongly of cinnamon apple. I kind of want my whole house to smell like it! Vanilla and Cinnamon Black Tea: The main flavors are exactly what the label says, vanilla and cinnamon. This one might be nice with a little milk and sugar splashed in. Sugar Plum Spice from Celestial Seasonings: This is actually from Whole Foods, but it is a holiday flavor so I wanted to include it. The main flavors are hibiscus and cinnamon, and it has a bright red color which is nice. Since hibiscus is very tart I did prefer this tea sweetened with honey. This tea would be delicious iced! That’s it for my holiday ingredients from Trader Joe’s. Next are my regular items. 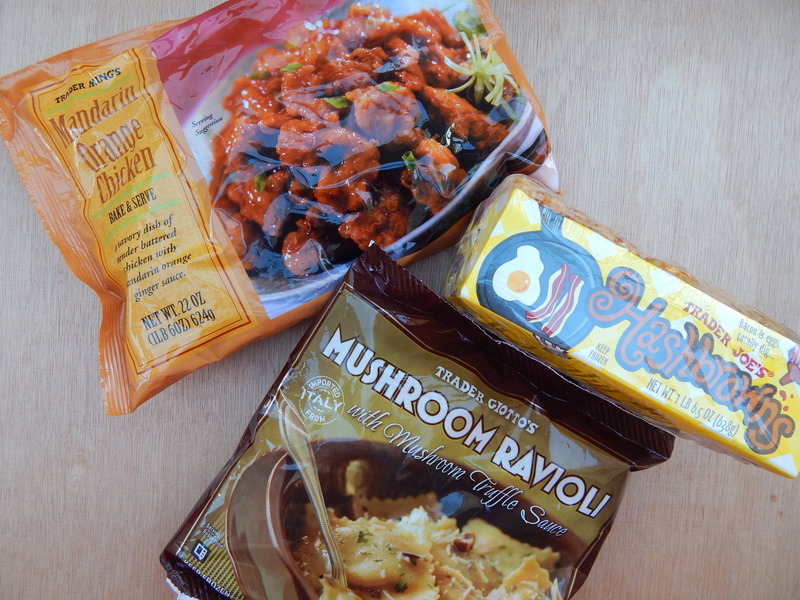 This is what we got from the frozen food section. Mandarin Orange Chicken: We get this almost every time. Tommy loves it and it’s so easy to bake right in the oven. Serve it with steamed rice and you have your owl little Chinese food bowl that is much healthier that eating out. Hashbrowns: Tommy loves these for breakfast. Super fast and easy to make in the toaster oven. Lastly I got Mushroom Ravioli with Mushroom Truffle Sauce. They look so good! I can’t believe I haven’t tried them yet, but I hope I will love them when I do. I got some lemons because I love making lemon chia water. I just fill up a big bottle with water and squeeze in half a lemon, add the lemon in, add chia seeds and take it to work with me. It is very refreshing, healthy and hydrating! 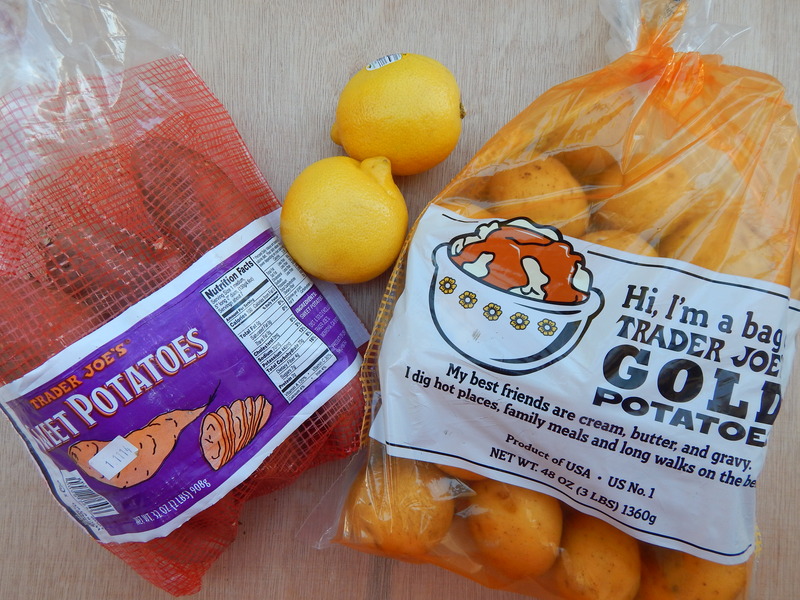 I got sweet potatoes and gold potatoes too. Side note: The gold potatoes have the cutest bag. Another reason to love Trader Joe’s. For snacks we wanted to try the Pretzel Nuggets with sesame seeds and South African Style Potato Chips. The pretzels were really good, I liked them. The chips tasted like a very intense BBQ flavored chip, but smokier. My husband liked them more than I did. For the pantry we got more of our favorite bread, the Tuscan Pane. I have been making toast with it, and it gets perfectly toasty. I got tuna for making some tuna salad for our lunches. 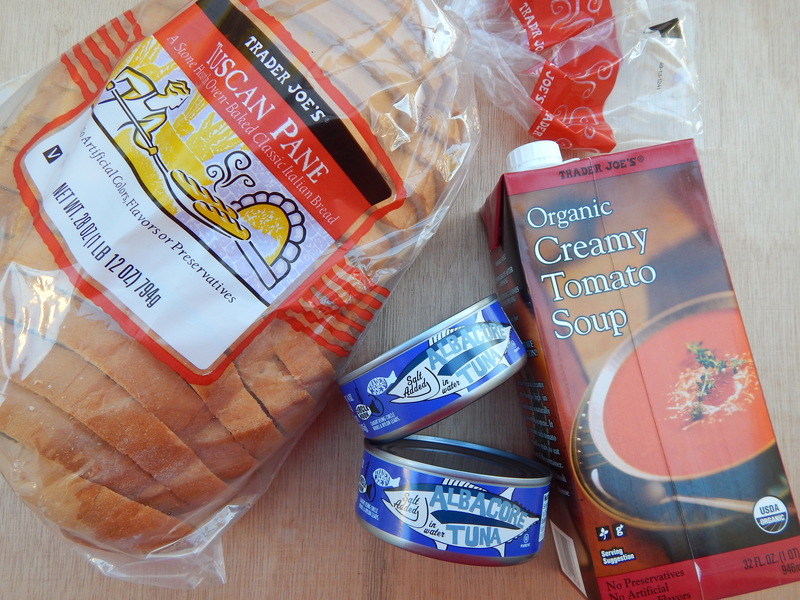 The Organic Creamy Tomato soup is really good. I add in Italian seasoning, black pepper, granulated garlic and top it with parmesan cheese. I got some turkey gravy to go with mashed potatoes for my husband, because he loves them. We needed more sweet chili sauce and reduced sodium soy sauce. I like their brand because it is very flavorful. Lastly we got croutons for salad, but not just any croutons. We got fancy Cheese and Garlic Sourdough Bread Croutons. Oooo. See you guys next time! Sending you a big Thanksgiving hug!